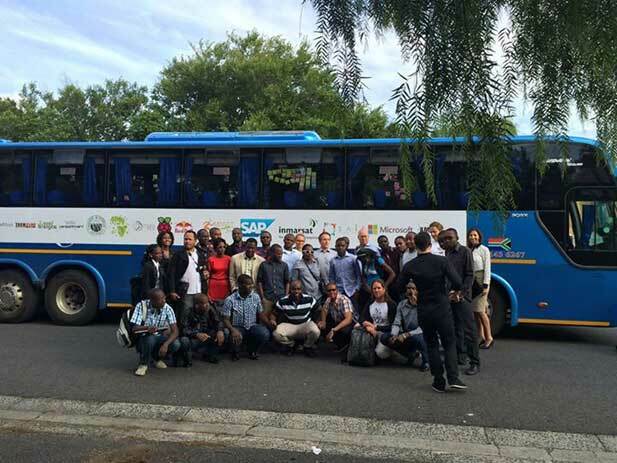 Between the 7th and the 12th of November several tech entrepreneurs with different skills trooped across 4 Southern African countries on a bus with the sole objective of birthing tech startups and exploring the startup environment in the region. 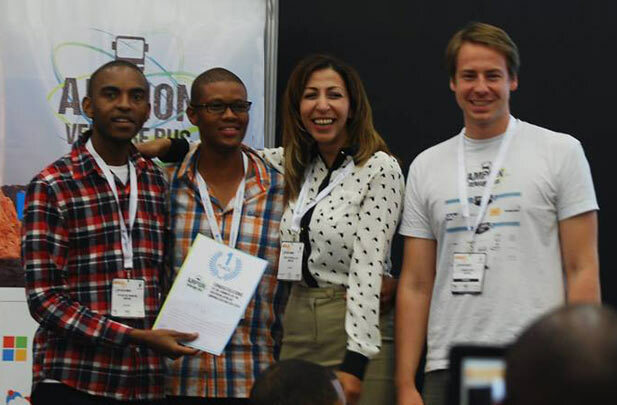 They also had the opportunity to pitch their ideas at Africacom 2014 in Cape Town South Africa with one of the teams being selected as a winner. This only gives a rough idea of what Ampion Venture Bus was all about, so we decided to get a perspective from some of the participants. We managed to have a discussion with three guys (Douglas Chifetete, Tawanda Chikosi and Tafadzwa Makura) that were on that 3500 km long hackathon. They shared their experiences on the bus and talked about the different projects their teams were working on. Part of the discussion centred on the issue of government’s involvement in the growth and development of the tech startup ecosystem. While we always talk about the infancy of the Zimbabwean tech ecosystem there are other steps that we should be taking towards a holistic involvement of parties that have a direct impact on its growth. Other countries in the region(Botswana, Kenya, Rwanda) and on a global scale (Israel) that are also passionate about the growth of their ecosystems have achieved multi-level state engagement on several issues tied to their tech ecosystems and tech entrepreneurship. Shouldn’t we be doing the same in the Zimbabwean case? Beyond the lessons learnt and shared from the Ampion Venture Bus, how do we kick-start a progressive relationship with the state and every other stakeholder that is late to the party? Please feel free to share your own views on this issue and other aspects discussed in this podcast. the thought that we necessarily need government for the zimbabwean startup ecosystem to be successful is not accurate. of the multibillion dollar startups that u see in the world, which companies where helped by government. the role of government is to create a conducive environment for investment by giving us reliable infrastructure (water, electricity, roads, health facilities) & a good regulatory environment. The role of government is not to invest in startups, it is to create the environment that will promote private companies to invest in startups. by nature government is inefficient. Do some research on DARPA, in-Q-Tel and SBIR in the US and how they have impacted innovation. My point in the discussion IS that the role of government is to invest and foster innovation. Startups are a product of innovation. Even in Zimbabwe. Currently, innovation is being pushed by international organisations and donor organisations, NOT, companies as you insist. Companies invest in a mature tech eco system they don’t grow it. In fact, companies invest in nations where governments are investing in innovation. Our point is that Government NOT Donors should drive the agenda of innovation in a country. After all government will likely have the long-term interests of the country and the tools and mandate to implement and enforce those interests. All the billion dollar companies you mention where a product of each country’s education policy and entrepreneurial incentives system. Some of the opinions shared in the above podcast are a product of first hand experiences and encounters with said government players, we saw and heard what they were doing and how it is changing their startup landscape, it is not a matter of opinion. Feel free to look at the co-relation between innovation in Botswana over the last 5 years and government investment and policy in that sector, look at India as well and research their strong technology sector as a product of the Indian government’s education policies. Look at the impetus of the US Government’s current STEM (Science, Technology, Engineering & Maths) drive. I will put it differently. Where ever we have witnessed huge growth in innovation and startups government has been the single biggest enabler. Trying to avoid the government in Zimbabwe’s case, is unprecedented and well… mis-informed in my opinion .